Before anything, I’d like to thank Government of Republika Srpska for their full financial support, which was one of the preconditions to even get this bid. With their full support + sponsors, we’ll be able to get great amount for sponsorships, for you to come to Banja Luka from the most remote places, and also in case you need visa for them to help you in getting one. Government support is just too precious in any way you want to take it. 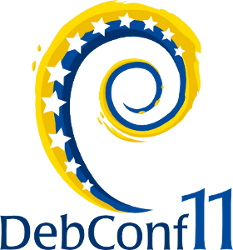 Besides Debian people, I’d like to invite anyone who think he/she could help, or want to get involved, especially individuals/organizations/LUG from whole region! It’s also important to stress that in all of our communication means, we do speak English, so please do not hesitate if you have any sort of question/suggestion/whatever.